Your customer signed up for a newsletter - great. What's next? 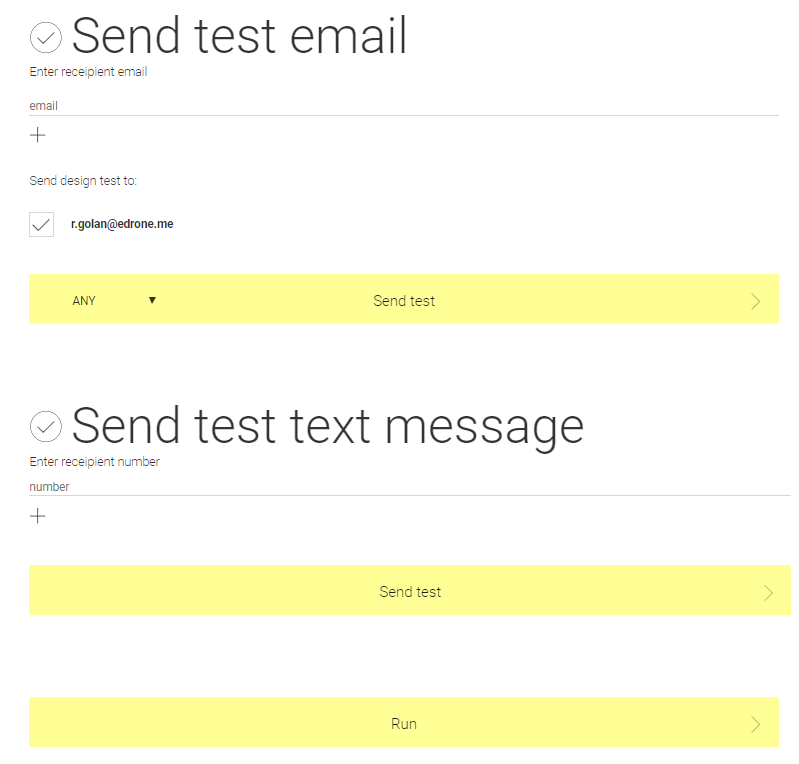 You can send up to 4 additional automatic messages after sign up. Those messages can describe your store, your purpose, your products or send them coupons. 3. 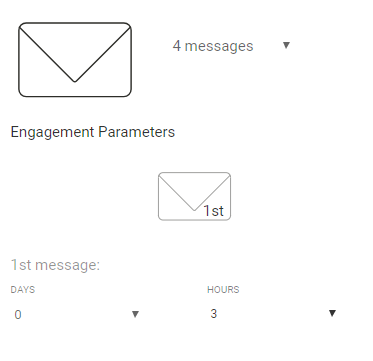 In ADJUST section select how many messages you would like to send after newsletter subscription. Please note that opt-in and welcome messages are not counting in those 4 automatic messages. So in really you will have up to 6 messages. 4. Select number of days and hours after subscription. 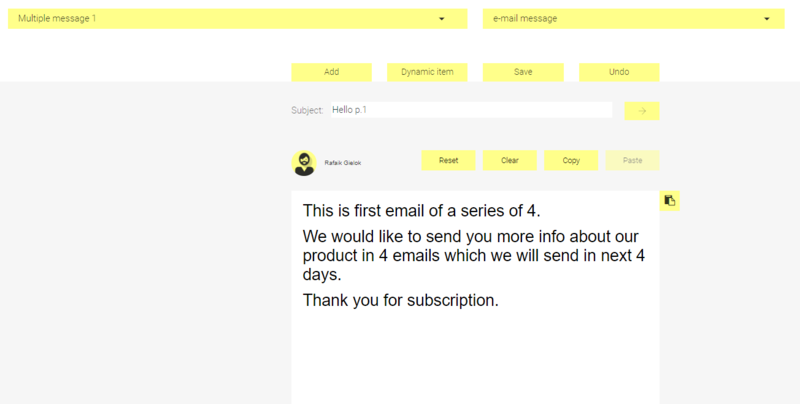 If you choose DAYS 0 HOURS 3 it means that we will send first multiple message after 3 hours of newsletter subscription. DAYS 2 Hours 5 means we will send a multiple message 2 days and 5 hours after subscription. 5. In our scenario we will send first multiple message after 3 hours of newsletter subscription, second message will be sent next day and 3 hours after sign up. 9. In DESIGN select messages you want to create. Please note if you select 4 multiple messages you need to finish all 4 otherwise you will not be able to finish. Add dynamic elements like bestsellers, coupons, buttons or social media. 11. 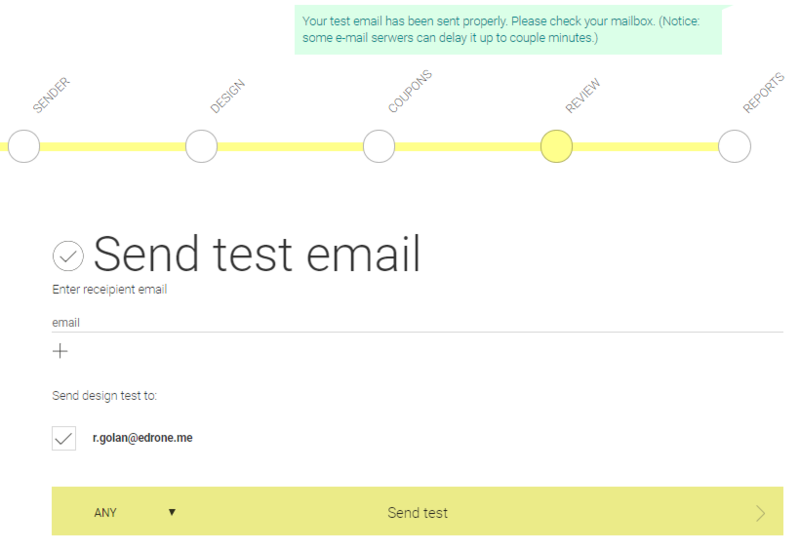 When you finish you can send a test message. 14. Et Voila ! Your multiple messages are ready.